Vernazza. 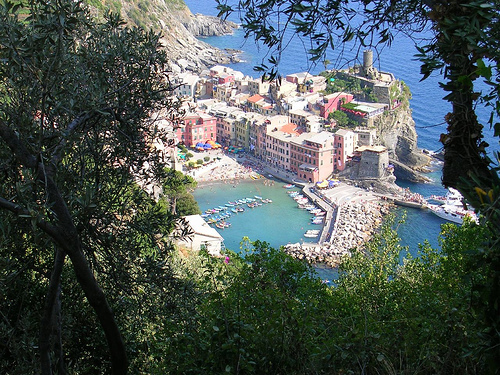 Vernazza is the fourth town heading north into the Cinque Terre. It has no car traffic (a road leads into a parking lot on the edge of the town) and remains one of the truest "fishing villages" on the Italian Riviera.. Wallpaper and background images in the Italy club tagged: italy photo's travel europe.